It wasn’t too long ago when the Stylist Handbook’s Editor at Large, Doug Haley introduced our readers and followers to the very stylish GGeisha of Los Angeles based brand, Dripped in an exclusive interview. Created for and by a collective of artists, their sole mission is toexpose the talents of local tastemakers through fashion soirees, presentations, runway shows and other special events. 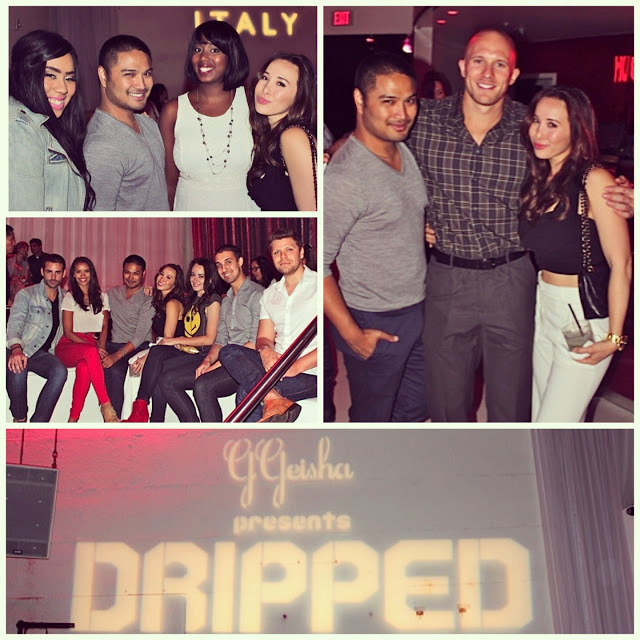 Last month, the collaborative efforts of the Dripped team unveiled their Runway Edition show (S/S 13′) at Hollywood’s prominent Supper Club. Showcased were designer collections from Madem Black, 360 EMA showroom designers: Staci Sherri, Rekcor, J. Loren and none other than a brand home to me, FROCK Los Angeles by Victoria Tik. 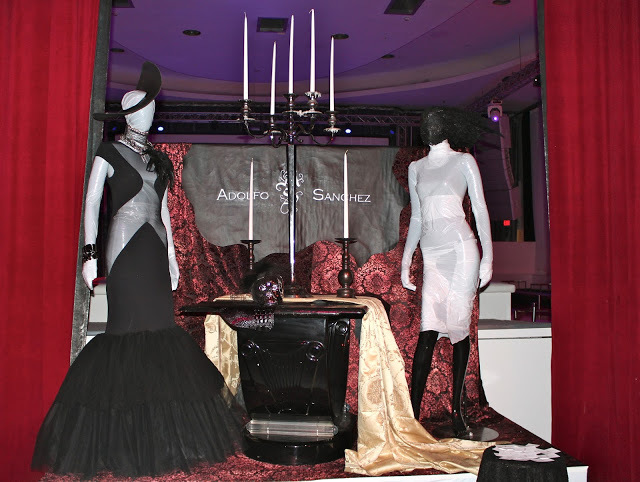 Also featured, was a fashion installation by a Stylist Handbook favorite — emerging designer and founder of 360EMA, Adolfo Sanchez. From DJ’s Tamara Sky and DJ Glitter spinning vibe worthy tunes, drinks flowing from Peroni Italy, captured moments by Rony’s Photobooth to the eclectic fashions embracing the runway with creative styling by Dripped stylists James The Beloved and Victor Jonas, Hair Art Direction by Cantrel Mitchel Jr., and makeup by Josiah Cracaft — attendees were exposed to a more than thrilling experience. Additional sponsors included, Lashfully (Makeup), Privé Salon (Hair), Damone Roberts (Beauty), Pop Murder (Fashion) and Ton of Bricks(Video Production). With a dynamic lineup of collaborative efforts, the show in its entirety was a vivid portrayal of a live fashion masterpiece. Staci Sheri’s whimsical designs filled the room with vibrant color and bold prints as the futuristic and classy J.Loren collection seemed to exhibit a fresh spin on the 1960s era, Mad Men show. Interestingly enough, Mad Men star, Teyonah Parris was spotted wearing a J.Loren piece at the Season 6 premiere party. Clearly, “Mad about J.Loren” is trending! FROCK Los Angeles team and supporters. featured stand out see through latex garments. On the other hand, you had the edgy rocker ensembles from Reckor, embellished with studs and chains. It was clear that diversity in style dominated the runway, impressing onlookers who too also possessed eclectic styles of their own. As the event reached intermission, the crowd wasted no time at all to cheer on a pregnant GGeisha who made her way behind the mic showing everyone that when it comes to fashion, mommies-to-be can still rock their savvy styles without having to resort to unflattering maternity wear. Not like we would expect anything less from the woman behind the main attraction. TAKE A PEAK AT THE DRIPPED ACTION! 360 EMA captured video of their housed designers. I was able to kill two birds with one stone by covering the fabulous Dripped event for TSH & representing FROCK Los Angeles as well. 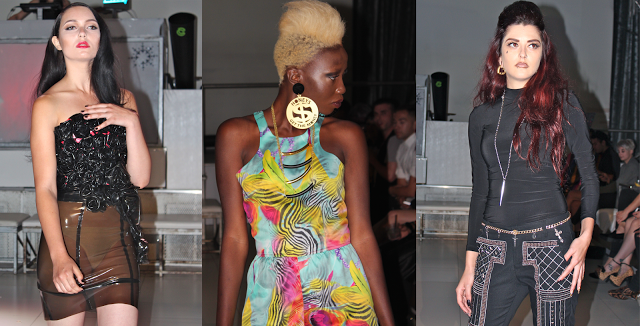 When asked about her overall thought on Dripped’s Runway Show, designer Victoria Tik expressed, “It was so much fun! I thought it was a great event and merger of art and fashion”. As for the culturally glamorous styling, “It was unique and refreshing! It was beautifully done”, said Tik.